Desi Di Nardo is a writer/artist in Toronto whose work has been published in numerous journals including the Literary Review of Canada, Descant, The Globe and Mail, Carousel, The Toronto Review of Contemporary Writing Abroad, the National Post, Canadian Woman Studies, Fireweed, Black Bear Review, Lichen, 13th Moon, and Rampike. Desi's work was also performed at the National Arts Centre in Ottawa for International Women's Day. Her poems were featured in Poetry on the Way on the Toronto Transit Commission, on the Parliamentary Poet Laureate "Poems of the Week", and in the Feminist Caucus 25th Anniversary Anthology. She is also included in the University of Toronto 's Library of Canadian Poets. 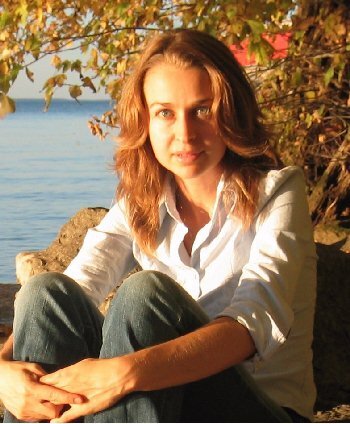 Her poetry has been presented in English classes in high schools and at the University of Toronto . Desi’s poetry is presently being showcased at Grassroots in Toronto for National Poetry Month in April. Her writing has been translated and published for literary and cultural journals in Iran. She occasionally conducts poetry workshops in schools. Desi has previously worked as an on-air entertainment host/writer and English professor.